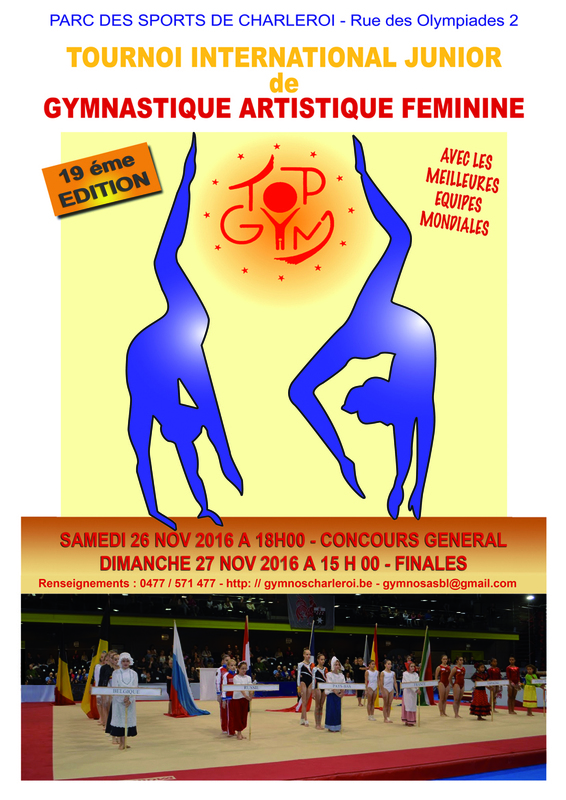 Belgian Gymnastics: 2016 Top Gym: all you need to know! 2016 is almost over. Before the GymGala in two weeks and a much deserved break, our gymnasts will compete one last time at the International Top Gym! Last year, the competition took place in a weird atmosphere, after the Paris attacks and the threat on our country. But there was no way the organisers would cancel the event. And this year, the list of participating countries is once again amazing! We don't have the complete list of gymnasts, but some names are known : Romania's Ioana Crisan and Olivia Cimpian, both bronze medalist at this year European Juniors Championships, will be there, as well as the Netherlands' Sanna Veerman and Naomi Visser. France will be represented by Alisson Lapp and Célia Serber. For Belgium, Chloé Leblicq, Cassia Priels or Fien Enghels are also expected to compete. But gymnasts from Spain, Sweden, Czech Republic or Canada will also try to in gold this weekend. As usual, the competition format is a bit special, as teams from different countries will team up on Sunday in the team final competition. The best gymnasts on each event from Saturday will also compete in the event finals on Sunday, while the best all-around gymnast will be crowned on Saturday. You can't be there this weekend? No worries! There will be a livestream here : https://www.twitch.tv/gymnostv ! I'll be there too on both days and I'll keep you updated with scores and pictures on both the Twitter and Facebook pages.